I think we live in a time where it is crucial to oneself and the world at large that we live from our hearts, to pursue what has heart and meaning for us, because what has heart and meaning for us will also contribute to the whole as we are all connected. If you find yourself discouraged, depressed or feeling hopeless I encourage you to get involved in whatever way you can, be it volunteering for an organization that does good works, bringing awareness to important issues, or advocating for those who are voiceless; for me getting active can alleviate the feelings of helplessness, depression and despair that can come from seeing my little sister suffer so much, or contemplating all the challenges we face as a race at this incredible time in our history. I would much rather get active than take anti depressants to numb my feelings, because those feelings can be fuel for the fire. I honestly believe the rampant use of antidepressants adds to the epidemic of apathy in our society. The greatest heartbreak of my life has been watching the slow and painful deterioration of my sweet little sister's mind and body. I would suffer all other heartbreaks a 100 times over if it meant that her suffering would end. Elizabeth was born June 15th 1974 when I was seven. As I grew older I was often given the responsibility of taking care of her and translate at doctor's appointments for my Portuguese speaking parents. At three months old Elizabeth had her first epileptic seizure twenty minutes after a vaccine shot. The only thing I will say about vaccines is please make sure your baby is free of illness as in flu, cold or fever before they are vaccinated. Elizabeth was normal in all other aspects. She was walking by 11 months , toilet trained by 18 months, but as time went on the seizures did cause brain lesions and caused her to become mentally challenged. When she was a baby she went through a period where she would have eight second seizures every ten minutes or so, then it changed to sometimes having one hour long seizures three time per day.These are I think what caused the most damage as well as the side effects from the medications that controlled her seizures most of the time. My mother was also too protective and underestimated what she was capable of. This caused a huge amount of frustration for her. She was a mostly a happy girl who loved to swim, dance and play pool. Eventually Elizabeth developed serious side effects from her medications , depression, fits of rage and she began to rebel against my parents over protectiveness the only way she knew how, which was by becoming aggressive, and so she was given more drugs for this behaviour. Eventually she began having hallucinations and became psychotic. She spent two years at CAMH, where they experimented with other drugs and electric shock but they finally put her on a drug called clozapine, an anti psychotic with terrible side effects. 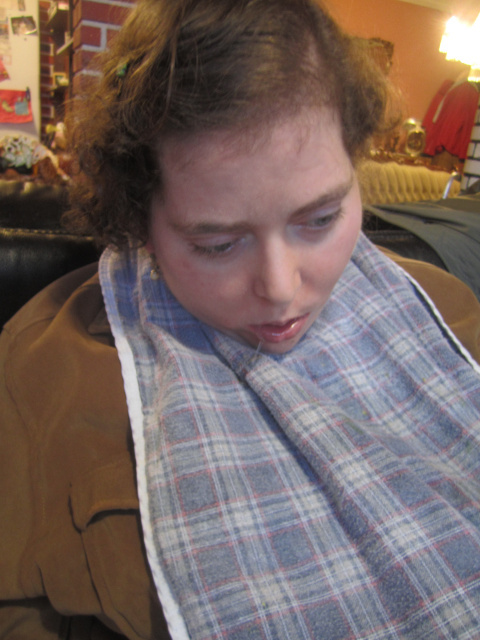 Elizabeth just turned 40 and she is now barely able to walk and is mostly in a wheel chair, is in diapers at night, drools constantly, still hallucinates, has lost many of her teeth, is obese and suffers from exhaustion all the time. She is in constant pain from not having the strength to hold up her own head. If marijuana had been acknowledged years ago when studies were being done in the forties, I believe Elizabeth could have had a much better quality of life. Marijuana is a hot topic right now as it should be with the legalization movement finally gaining headway in Colorado and Washington. The first person in Ontario to be awarded legal medical access was an epileptic who like many others found that marijuana was the only medicine that controlled his seizures. The prohibition of this ancient medicine has caused huge amounts of suffering in a number of ways. To people like my sister it could have given her a life that she never had. She could have skipped the necessary chemical concoctions that controlled her seizures but that eventually deteriorated her mind and body. There is much propaganda that has led many good people to the wrong conclusions about this amazing plant. Actually when you think about it, making a plant illegal is really quite insane, it is the systematic attack on nature that can be seen in countless ways as our oceans die, our air becomes poisoned and our forests destroyed, all in the name of the economy. It is well known now that the "war on drugs" is a complete failure and has caused more harm than good with thousands of people in jail for a victimless crime, supporting the prison industrial complex which is really a modern form of slavery. This in itself is a reason to legalize or at least decriminalize. Dr. Sanjay Gupta the CNN medical correspondent produced a documentary called "Weed". He apologized on CNN for contributing to the "systematic misleading" of the American people. He also featured the story of Charlotte Figi, a 5 year old child who was having up to 300 seizures per week, and finally found relief right from her first dose of a marijuana oil that has a high content of CBD, one of the non psychoactive components in marijuana. You can see a less than two minute story about Charlotte here. Marijuana was used for epilepsy for hundreds of years and was even in the American pharmacopeia from the 1840's until prohibition. Promising clinical trails were also done in the 1940s but never went anywhere. You can read that story here with a picture of a news article that read "Marijuana Leaf Plays Epilepsy Cure Role" I personally believe that the chemical industry hijacked the medical system in the 1940s and since natural medications are not patentable, the pharmaceutical industry leans towards patentable concoctions that can potentially make them billions, ignoring the often far superior plant based medicines to this day. The sad truth is that less than 4% of plants have been studied for their medicinal properties. Modern medicine has accomplished much but chemical patented drugs have only been around for about 100 years where as using plant medicines has been used for thousands of years. I think one of the most important fields of research today is documenting the medicinal plants of indigenous peoples from all over the world so that this important knowledge is not lost and further studies can be done. I find it offensive that modern medicine demonizes Marijuana and then synthesizes it, copying Mother Nature, making an an inferior copy at that and then making the real plant illegal! If you give it some critical thought, you may realize it's an "Emperor Wears No Clothes" type phenomenon. It reminds me of when in the fifties women were told that formula was better than mother's milk which ofcourse is absurd. In the USA alone prescription drugs kill someone every 19 minutes, surpassing all illegal drugs combined. 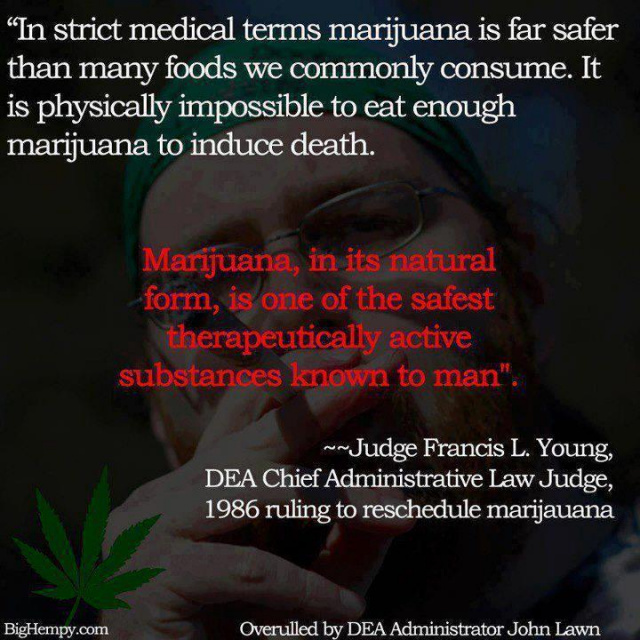 Marijuana has a total of 0 deaths and is recognized by doctors as completely non toxic. Not only did Charlotte Figi go down to just a couple of seizures per month from 300 a week but the side effects were better sleep, better appetite and better focus. The harmful effects of marijuana are often exaggerated and often completely untrue. A study done looking at Jamaican women who regularly smoked or drank cannabis tea during their pregnancy turned up no ill effects at all to the baby even in a 5 year follow up. Others are advocating for its use as an anti psychotic. The reason cannabis is effective on so many illnesses is because the components of the plant called cannabinoids are similar to what the human body produces. 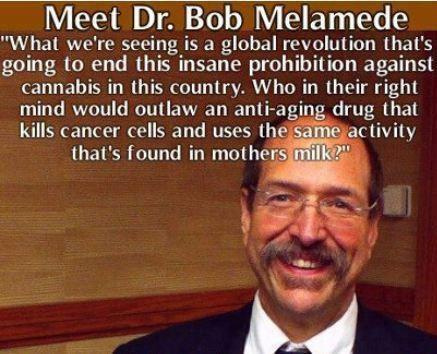 A THC type substance is also made in mother's milk which calms the baby of the trauma of birth. Our bodies actually have an endocannabinoid receptor system which helps control major functions in the body like metabolism. Dr. Courtney is a physician and researcher from California who is petitioning the UN is have marijuana recognized as a food! The story of one of his patients, a young woman who was told she would not likely have children or even live past 25 is a story that is truly amazing. She found health juicing the leaves of raw cannabis and has now left behind 40 prescriptions and has become a healthy happy mom. Dr. Courtney diagnosed this young women with "cannabinoid deficiency syndrome". The good news for people who have no interest in the high that THC produces is the fact that marijuana produces no high when not heated, so the raw juice of cannabis has no psychoactive component, as the THC needs to be activated with heat to be psychoactive. As our population ages this plant can be an immense help to the illnesses that come with aging. This is why I believe its an important issue for everyone. I applaud the work of Robert Platshorn, an American who spent 29 years in jail for selling marijuana in the 1970s. He heads what is called "The Silver Tour" , teaching seniors about the benefits of marijuana. I for one would much prefer my elderly father smoked a pipe of marijuana or had a glass of raw juice rather than have him be on the dozen or so prescriptions that he is on now which have left him an empty shell in personality. My research also led me to the story of Mr. Rick Simpson, a Canadian who discovered that the essential oil of marijuana can treat cancer as he did with his own cancer. This is an excellent documentary called "What if Cannabis cured cancer?". The truth is that president Nixon, keen on building the "war on drugs," had research done to try to prove a link between marijuana and cancer in the early 1970s. What they found was the opposite, that THC actually killed cancer cells but the study was buried and it wasn't until Rick Simpson told his story that people started treating their cancer with cannabis oil. The lab research confirms this with over 40 studies done. The problem is that there are no clinical trails because of the status of marijuana as a class 1 drug, as it is grouped in with dangerous drugs like crack and heroin. There is one clinical trail being done with brain cancer by GW pharmaceuticals in the UK but it is being combined with chemotherapy. I have spent so much time trying to persuade my mother to talk to her doctor about medical marijuana for my sister, but the propaganda runs deep and she refuses. She says she would only use it if prescribed, so instead of using my energy to badger her and cause strain on our relationship I have spent much of my time writing to every Epilepsy organization I could find, informing them about the history of medical marijuana and sharing Charlotte's story so that one day Elizabeth may be prescribed. It is so satisfying that many of these organizations are now aware and becoming important voices for this cause. The question remains as to why was all this information ignored by our governments for all these years. Cancer is now an epidemic and neurological diseases are also climbing at an incredible rate. Why does the US federal government own a patent to marijuana as a "neuro-protectant" but continue to schedule this plant as a dangerous drug? I think the most important thing we can do is talk to our doctors and inform them, because the pharmaceutical reps will not do it, unless they can synthesize what nature has already made. This is one thing I will never understand: nature is demonized, and then copied with inferior substitutes. It is, to me, sacrilegious. Thank you for reading this, please pass on this information. "Specifically, the petition has three main objectives: to encourage Health Canada to allow the specific strains of cannabis plants needed for CBD production to be imported from the U.S., to allow medical trials to be conducted in Canada, and to expedite the process of accessing CBD."